Non-GPS-based data acquisition systems rely totally on a wheel speed sensor as the basis for data collection. The more care and thought you put into this aspect of setting up your system, the more reliable and accurate your data will be, especially when it comes to comparing data from different bikes or different sessions where the bike’s setup may have changed. 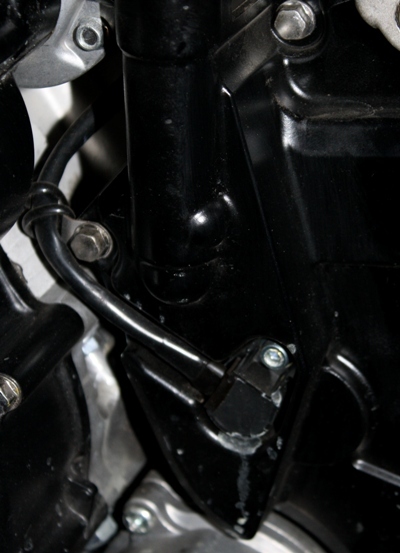 As most motorcycles have a speed sensor as standard equipment, it’s a simple matter to tap into the wiring harness and use that sensor. Unfortunately, many measure at the countershaft sprocket or work from one of the transmission gears, meaning final gearing must also be taken into account. 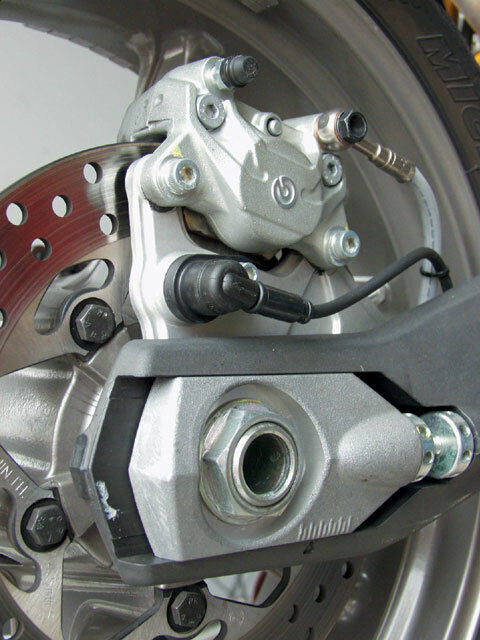 A standard wheel speed sensor uses a magnet or a series of objects – such as bolt heads – passing by the sensor to determine the wheel’s rotational velocity. From this, speed and distance are calculated. A wheel speed sensor measures rotational speed of the wheel, and that must be converted into straight-line distance by factoring in the circumference of the tire. You must measure this accurately and input it into the logger’s configuration file, keeping in mind that every time you change to a different size or brand of tire this may change. It’s increasingly common to use the speedometer sensor that is standard on many bikes, and this adds another complication as gearing must be taken into account. Depending on the logger’s software, the gearing values may be able to be input separately, or you may have to fudge the tire’s circumference to factor in the gearing. For example, if your tire measures 1800mm and you are using a 15/45 gearing combination, the value would change to 1800 * 15 / 45, or 600mm. A standard wheel speed sensor utilizes a small magnet on the wheel, passing by the sensor once each revolution. Some internal sensors, however, have more than one “pulse” per revolution, and this also must be input into the configuration file. Sometimes you can look at the sensor arrangement and see the number of poles – for example, Suzuki GSX-R models work off a nut with four raised faces, giving four pulses per revolution. Others measure the rotation of one of the gears in the transmission, and for this you will have to look up how many teeth are on the gear used. This may require some digging and some experimentation to find the correct number. Again, keep in mind that if you change your bike’s gearing, this must be taken into account in the software or configuration.